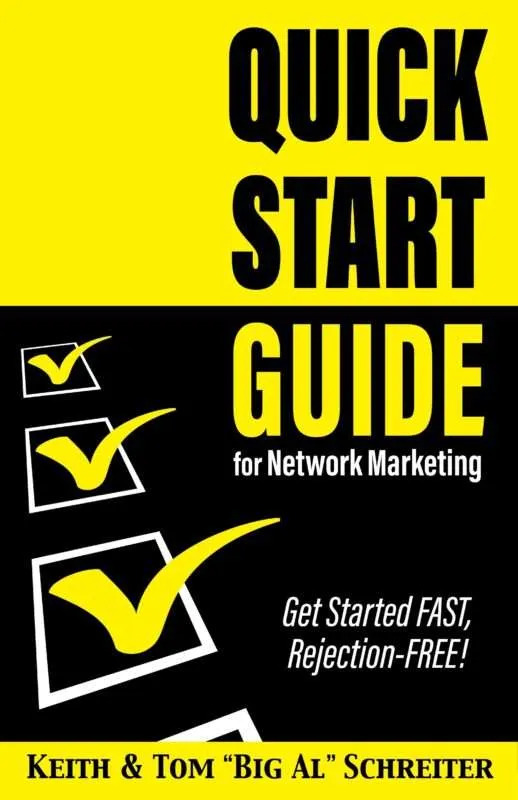 Why some networkers get great referrals, and other networkers suffer from a lack of prospects. The answer is easy: guilt and embarrassment. Think about it. When you are asked for referrals, what’s the first thing that comes into your mind? We don’t want to feel guilty or embarrassed. That’s why we pretend we are hermits, orphaned, or extreme introverts. Explaining exactly the type of person you are looking for. Explaining that you will be courteous and polite, just as you were with him or her. Explaining what you will say or do with the referral. Explaining that you will first send a courtesy letter/email to let the prospect know that you will be calling. The 21-Day Plan for educating your new distributors. There is a lot for new distributors to learn when they get started. How to take a customer’s order. Who to call when they have questions. Where to find the best prospects. Cool things to say to avoid rejection. This can be overwhelming if dumped on your new distributors on Day 1. So pace the information with an autoresponder. Set up an autoresponder with 21 separate messages, with one message delivered each day. Have each message introduce one new piece of training or information. Bite-sized chunks make it easy to slowly digest what they need to know when they first get started. Normal is sad these days. So what would you say as the sponsor? Many, many years ago, I went to my first opportunity meeting. All I can remember from that meeting are two testimonials given by distributors. The first testimonial was by a nun. The second testimonial was by a distributor who talked about how his father never believed he would be successful. I don’t remember the compensation plan, the product features, the corporate history, the slide presentation, or even the faces of the main speakers. All I remember are the two testimonials. Don’t get too worried about the details in your presentation. Your prospect is only going to remember one or two things. So why not give your prospect memories of a powerful product or opportunity testimonial? All of your prospects are pre-sold! Think about it. Almost everyone would love the benefits of your product or your service. And everyone wants more money. Yes, your prospects are pre-sold on your business. The only thing you have to do is not talk them out of it! That means you don’t want to set off the “salesman” alarm. If you do, the prospect won’t believe another word you say. You immediately feel the sales alarm go off inside of your head. What are the words and phrases that you use to set off the salesman alarm? When I teach “The Magic Sequences of Words,” I not only show how “good sequences” go directly to the decision center of the mind, but how “bad sequences” go there also. Want some examples of “bad sequences” that kill our business? So review the words and industry phrases that you are using now in conversation. Are they serving you, or are they turning your prospects against you? Would your friend keep a business opportunity secret from you? Ten ways to be a leader. Everyone tells us to be a leader, but they never tell us how. Dale Carnegie tells us exactly how.